Sales Best Practice #22 - Has a system for selling any product or service that we present. Sales Best Practice #22 – Has a system for selling any product or service that we present. The best salespeople are systematic in their approach to their job, while ordinary salespeople are haphazard. That’s one of the reasons why they are the best. We know that sophisticated routine work is best accomplished by implementing effective systems. McDonald’s, for example, didn’t get to where they are by hiring the best people they could find and then asking them to figure it out. Rather, they created a system, and then constantly tweaked that system. That approach applies to every area of human endeavor. From surgeons to ministers to fishermen to house painters, the routine and sophisticated aspects of their jobs are best addressed with systems. It applies to sales as well. There is a best way to sell every combination of products/services to specific markets. In other words, if you are selling carpeting to independent retail stores, there is a best way to do that. If you are selling the same product to contractors, there is a best, though somewhat different, way to do that. Each of these unique combinations of products to markets is what I call a selling “situation.” In my example, above, selling carpeting to contractors is one situation, while selling it to retail stores is another. Every selling situation, if it occurs routinely, is best handled by designing an effective system, and then forever improving on the design and implementation of that system. The best sales companies design sales systems for every situation. In my practice, I have honestly worked with very few companies who had familiarity with the concept of a sales system, much less a well-designed and effectively implemented one. 1. Who is the most likely market (customers) for this? 2. What problem does this solve for them? 3. Why would they pay for this? 4. What is the best way to gain access to the decision makers? 5. What is the specific process I’ll follow to sell this? 6. What is the best way to uncover the pain/problem this solves? 7. What is the best way to present this? 8. What are some natural and logical concerns they may have? 9. What is the best way to resolve those concerns? 10. How long will all this take? 11. What tools will I need to accomplish this? Answer these questions, in writing, and you have the beginning of a system. Now, by working your system, you’ll be far more effective than the salespeople and “go out and make something happen.” Thoughtful preparation trumps random action every day of the week. That’s why this is a best practice of the best salespeople. How to Sell Anything to Anyone Anytime. If you are a member of The Sales Resource Center®, consider Course C-1: The Kahle Way® B2B Selling System. 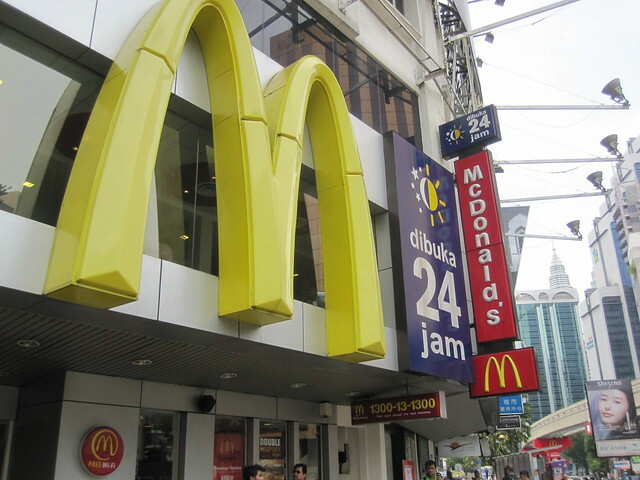 Image “Big M – Kuala Lumpur” by Rolling Okie on Flickr under Creative Commons license. ← Thinking about Sales: It’s all about the Risk!